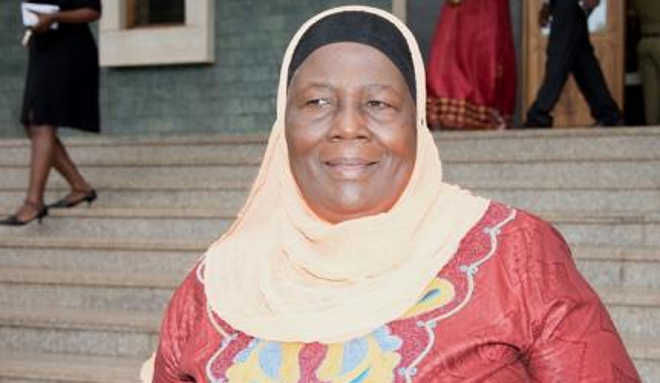 The Minister of Gender Labour and Social Development Janat Mukwaya has blamed the persistent low profile of and the failure to bring women’s issues onto the national dialogue on the inactivity of past women councils. Speaking at the swearing-in ceremony for the newly elected National Women Council that was held at the Ministry of Gender Offices in Kampala, Mukwaya said Ugandan women continue to suffer from a lot of marginalization but previous councils failed to failed to address these problems. She blamed political differences among members of the past councils for frustrating the council from coming up with one cohesive position on issues. Established by an Act of Parliament in 1993, The National Women Council is almost a relic entity having come from the post-1986 liberation struggle in which President Museveni sought to cement his legitimacy by appealing to women. To date, the Council remains one of the least recognized if not relevant institutions in Uganda and the few people are may be acquainted with its workings, would not hesitate to ask why it probably wasn’t added to the list of institutions the government wants to phase out. The Act proscribes the functions of the Women Council (a) To organize the women of Uganda in a unified body; and (b) to engage the women in activities that are of benefit to them and the nation. The fourth National Women Council that is chaired by Faridah Kimbowa, was sworn in by Minister Mukwaya. Kimbowa is deputized by Agnes Awuma. Namatovu Mastulah is the Secretary for Publicity, and while Robinah Akwi is the Secretary Finance. The council will serve for four years. Mukwaya challenged the new women’s leaders to operate virtual offices through using the new ICT tools to connect with each other and their constituencies. She emphasized the fact that the council needs to develop programmes that are relevant for the undeserved women. The incoming chairperson Faridah Kibowa on her part asked for increased funding for the council in order to enable them run their activities and reach the women. The council’s outgoing chairperson, Najjemba Muyimba cautioned the incoming members to stay focused on their objectives and avoid being diverted and drawn into divisive politics but search for opportunities through networking to source for resources.